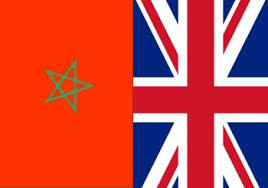 A delegation of British businessmen will visit Morocco on March 4-5 to explore cooperation opportunities in the Energy (Renewables & Hydrocarbons), Education and Finance sectors. The trade mission will visit the cities of Rabat and Casablanca, Morocco’s political and economic capitals wherein they will meet with key Government officials and representatives from the private sector. In addition to bilateral meetings with senior officials, the UK trade mission will be updated on the Moroccan economy and doing business in the country, a gateway for investment in Africa. The mission program includes meetings with British Ambassador to Morocco, the World Bank Country Representative, Head of British Chamber of Commerce in Casablanca, Chairman of General Confederation of Enterprises (CGEM), CEO of Casablanca Stock Exchange, Director of European Bank for Reconstruction and Development (EBRD) in Morocco and executives of Casablanca Finance City. Morocco, an important emerging market, is part of a group of fast-growing nations described as ‘African Lions’. The North African country is situated in a strategic location for access to Europe. It is also well located as a platform for reaching other international markets, especially North and West Africa. With Africa increasingly seen as a future engine of global growth, Morocco is a potential gateway to the continent for UK companies. Many UK companies are already doing business in Morocco, including G4S, GlaxoSmithKline, Shell Vivo Energy, Unilever, and Marks and Spencer, to name a few. There is also an increasing footprint from UK law firms and oil and gas exploration companies. The Moroccan market is attracting a growing number of foreign investors because of the country’s political stability, strategic geographic location, good communication network and easy global transport connections. The country has signed open Skies Agreement with the European Union (EU), boasts a strong banking & finance sector and ‘advanced status’ with the EU. It is connected with low cost flights from the UK and offers investors competitive labor costs, tax incentives, no restrictions to capital and ease of repatriation for profits and dividends.